Tilly Grimes is a costume designer for theater, opera, and film. 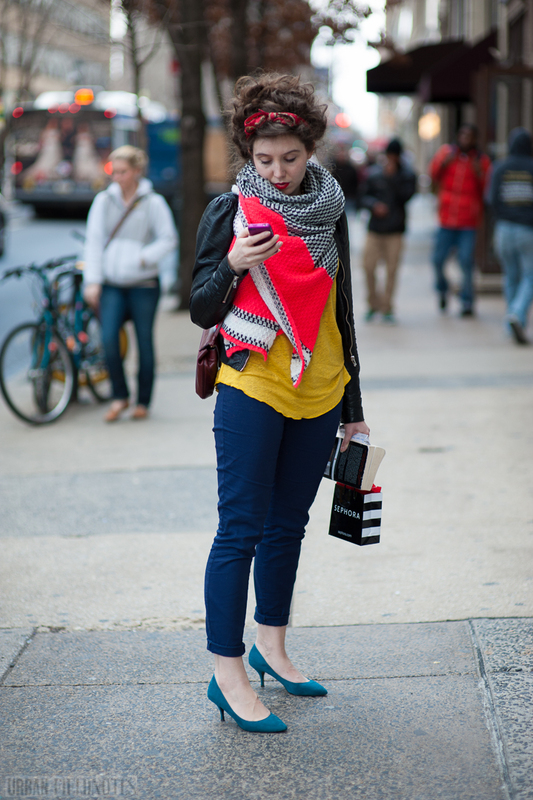 She works mostly in Dublin, London, and New York, but I managed to catch her on the streets of Philly. Amazing who you meet when you start picking out interesting-looking people to randomly walk up to and photograph! I recommend it. Love the colours and the hair! 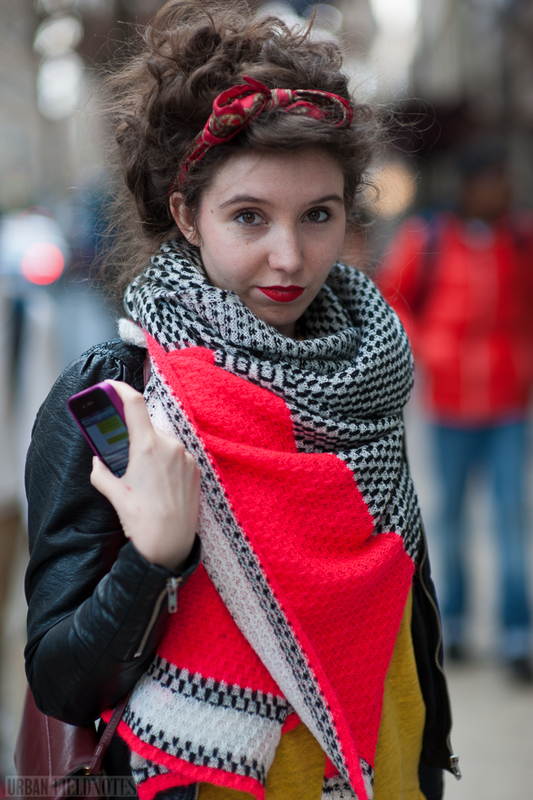 Her scarf is amazing. Great shot!